As a part of its European expansion plans, Netflix, Inc. (NASDAQ:NFLX) has launched its service in France. The move is primarily aimed to increase the revenue of the company by exploring new markets, especially in countries including Germany, Austria, Belgium, Luxembourg, and Switzerland. Introducing video streaming services in France is the biggest expansion until now for Netflix, Inc. (NASDAQ:NFLX), a company that has come become the leading video streaming services provider from a DVD delivery company. One of the biggest benefits of expanding in France is that now the company has the rights for U.S. TV series that the company didn’t had in the U.S. such as “Fargo” by FX or “Penny Dreadful” by Showtime. Further, the company changed its production schedules to accommodate for dubbed episodes of their TV shows in German and French. 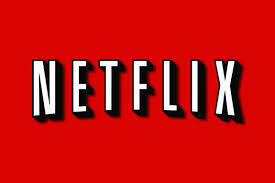 However, both French officials as well as cable operators have unwelcomed the move from Netflix, Inc. (NASDAQ:NFLX). Soon after the launch of video streaming service, cable operators refused to play Netflix through their set-top boxes or provide online broadband access for the same. One of the primary reasons for hostility is that the company and telecom operators have not reached a financial agreement for offering streaming content. As of now, Netflix, Inc. (NASDAQ:NFLX) has made a deal with the third-largest telecom operator of France, Bouygues Telecom, and the telecom operator will offer video streaming services from Netflix starting November through its set-top boxes. Netflix, Inc. (NASDAQ:NFLX) is likely to face some competition from other major players in the French TV space including Numericable Group SA and Vivendi SA who are working hard to match up to the services offered by the company.